The late Dallas Willard impacted the lives of thousands of people, including many pastors of whom I am one. I never had the pleasure of meeting Dallas Willard, but John Ortberg did. Ortberg has been greatly influenced by Dallas Willard and considers his own writings to be “Dallas for Dummies.” John Ortberg writes that whenever he was in conversation with Dallas he had the man’s full attention. Even in a room full of people, John observed, if Dallas was in conversation with you that it seemed you were the only one in the room with him. Another one of my favorite authors is the late Eugene Peterson. After his recent passing someone who knew him personally eulogized that when you were in Peterson’s presence you knew he was fully attentive to you. There have been times when I have gotten up the nerve to go up to a famous speaker after they’ve spoken in order to ask a question or to enter into what I knew could only be a brief conversation. There have been times when the speaker, who was warm and engaging before the crowd, seemed distracted and anxious to move on to someone else or to catch a plane to the next big event. There have been other times, fortunately, when I have found the famous scholar, preacher, or writer whom I’ve gotten up the nerve to approach to be fully attentive to me. I want to be like Dallas, Eugene, and those who have given me their undivided attention! With some embarrassment I must admit there have been times that when in conversation with someone I’ve communicated through body language and darting eyes that I had other places to go and people to see, likely only feet away in the same room. I know that this blog, A PASTOR’S HEART, focuses on the heart of the pastor and not so much on the mechanics and principles of pastoring. However, it seems to me that the reason Dallas Willard, Eugene Peterson, and some I’ve known personally are fully attentive and present in a conversation is because they have a settled, focused, and Christ-centered heart. Brother Lawrence famously promoted the idea of “practicing the presence” of the Lord. It occurred to me that when we seek to be fully in the presence of the Lord in the moment we will more likely be fully present with others when we are with them. When our own heart is far from being settled and focused we’ll find it difficult to be settled and focused around others. We may be standing before a person in conversation, but it may seem to that person that we are running in place, running away from them! Our work to become a more fully focused person in a conversation with someone begins, then, as a work on our own heart as pastors. It’s the work of seeking to have a heart that’s at peace, settled, and focused on the Lord. It’s an inward to outward process. But it’s also an outward to inward process! We can determine in our next conversation with someone, and the next conversation after that, and the one following that, to be intentional about giving the person our undivided attention even though we don’t come by it naturally. It may not be a behavior we default to, but it is a behavior we can determine to put into practice, and over time find it happens more naturally and is coming more and more from the heart, a new habit of the heart. 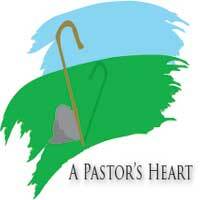 Having a pastor’s heart has many facets to it. Certainly one of those facets that reflects the light of Christ brightly into the hearts of those we pastor is to have an attentive heart! 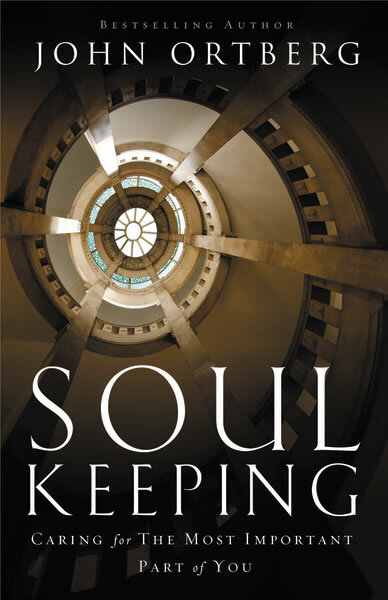 I just finished reading Soul Keeping by John Ortberg. In it he frequently quotes Dallas Willard. I’m doing a two-part sermon series on the soul, inspired by John’s book. I’ll be preaching the insights I’ve gleaned from my own recent spiritual journey. Soul care is so important for all Christians, but it’s key, in a special way, for those of us who pastor and preach. How can we tend to the souls of others unless we tend first to our own soul? 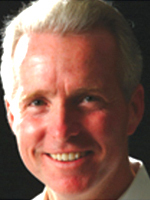 John Ortberg, pastor of Menlo Park Church in Menlo Park, California, wrote a good article in Leadership Magazine, Summer 2011. Here’s a brief reference in the article that struck a chord with me.